Middle-aged women are prescribed more opioids than any other group -- twice as many as middle-aged men -- making them particularly vulnerable to opioid abuse, according to a new report released today. The report, which looked at data from 600 private hospitals and more than 78,000 patients, sheds new light on those most affected by the opioid epidemic ravaging the U.S. President Donald Trump has referred to the crisis as a "national emergency." "More people die from prescription opioid overdose than from heroin overdose per year," Dr. Jennifer Holder-Murray, co-director of the University of Pittsburgh Medical Center Enhanced Recovery After Surgery Program told ABC News. In addition to being prescribed more opioids than anyone else, women aged 40 through 59 also have the highest death rate from opioids among women, according to the report, titled “United States for Non-Dependence: An Analysis of the Impact of Opioid Overprescribing in America." Kristina Crews Miller, a Florida mother of three told ABC News that she fell into opioid addiction following a routine operation to remove cysts from her ovaries. "I went to my family doctor, who I was referred to after a minor surgery," Crews Miller said. "There was a new doctor, and he prescribed me my first prescription of Oxycontin, right after surgery." Kristina Crews Miller discusses how she fell into opioid addiction in an interview with ABC news on Sept. 25, 2017. Crews Miller said that she initially did not think that prescriptions coming from a doctor could cause her harm, saying, "Why would you not trust your doctor?" "Growing up you don’t think of that ... you know you’re not going to do street drugs, and you know you're not going to be an alcoholic," she added. 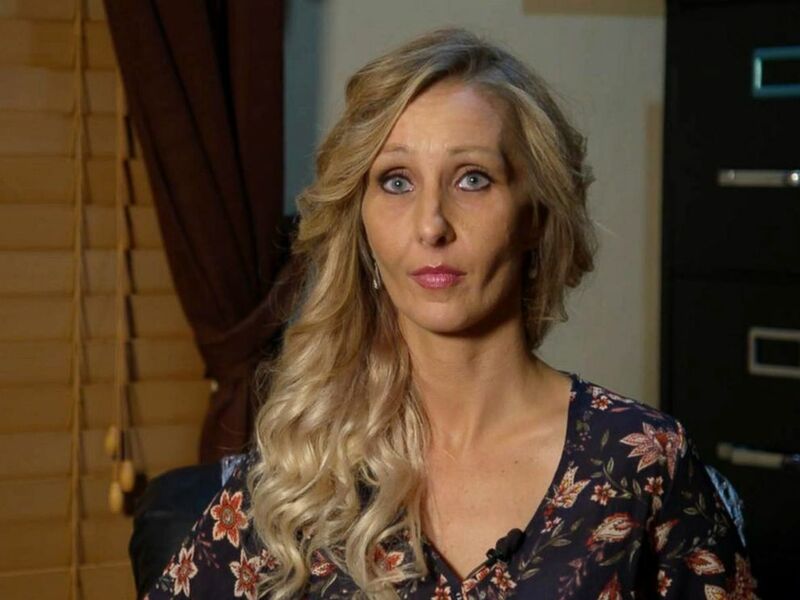 She says she realized she was addicted to her medication when she returned to work following her surgery, saying, "I did not survive two hours at work, I was sweating, I was nauseous, I was dizzy, I was weak." Although she has now recovered from her addiction, Crews Miller told ABC News, "I overdosed twice in front of my kids." The report, sponsored by Pacira Pharmaceuticals, Inc., calls surgery a "gateway to persistent opioid use and potential misuse" in its key findings. It also argues that surgery-related overprescribing results in 3.3 billion unused pills which become available for misuse. "What's startling and really bothersome in this study is the number of patients that are on opioids well after the surgery's been completed," Holder-Murray said. The report concluded that nearly 3 million patients in 2016 who underwent surgery continued taking opioids beyond their postsurgical recovery period. Crews Miller said she is now making it her mission to raise awareness, saying, "people are dying everyday." "Its time to end the stigma, and stop being so judgmental and help, they're sick, they’re not not human because they’re active in addiction," she added.